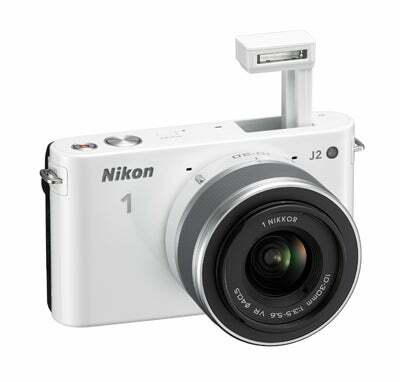 Following on the launch of the Nikon’s first compact system camera – the J1, Nikon has announced its direct replacement in the form the Nikon 1 J2. Introducing more creative options and stylish accessories, the Nikon 1 J2 arrives as a revised model and continues to feature the super high-speed 10.1Mp CMOS sensor that was seen in the Nikon 1 J1 and its sister model – the Nikon 1 V1. With an EXPEED 3 image processor claiming to offer unparalleled levels of speed, the Nikon 1 J2 features an advanced hybrid AF system and a new 3in LCD screen that boasts a 921k-dot resolution, improving on the Nikon 1 J1’s 460k-dot resolution. To enhance the shooting experience, creativity and effects that can be applied to images, the Nikon 1 J2 offers a new Creative Mode. A dedicated function button gives easy access to a range of photography modes, filters and shooting settings that can be applied directly to your preview, meaning you can see how an effect will look before you go ahead and shoot. As well as being able to capture sweeping views thanks to an Easy Panorama mode, there’s Motion Snapshot that is designed to simultaneously record a slow motion movie and a still image become combining the two to deliver what Nikon describe as an evocative moving photo and a story of a moment as never before. Creative mode has also been designed so that it’s easy to access Program, Shutter Priority, Aperture Priority and Manual settings. Nikon will produce the Nikon 1 J2 in up to six different colours that include black, white, silver red, pink and a striking and vibrant orange. Available from the 6th September the Nikon 1 J2 will cost £499 with the 10-30mm kit lens or £649 with the 10-30mm and 30-110mm twin kit. To read about the new WP-N1 waterproof case that’s also been announced click here.